So first off, can we just reflect on where the heck July went? Seriously, this year is flying by! 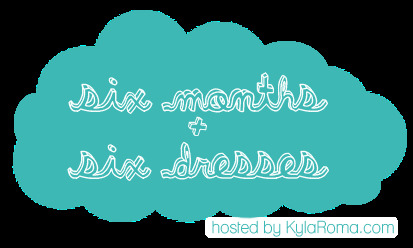 The lovely Kyla is hosting the six months + six dresses challenge and this is my fourth month participating. (To see my first three dresses, click here). So...onto July's dress! I got this dress earlier in the month - crazy on sale. I saw it a few months ago in a beautiful blue but when I was walking through the store I saw the gray one on sale and seriously, a dress for less than $15 - sign me up! What do you think readers? 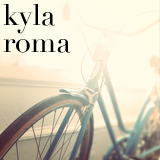 Are any of you participating in Kyla's challenge? Be sure to head over to her blog Thursday to see her July dress! Anyone else having trouble believing this weekend will be August? yES, I have trouble believing August is just around the corner! It's crazy. I don't think I'm ready yet for fall. I got my first taste of it when I went into Marshalls and they had an entire aisle in the shoe section dedicated to boots! Cuuute dress, and I love how long your hair is getting! Cute! You look fabulous! Love the addition of a belt. Pretty dress and your hair is getting really long! I am in both disbelief and denial that August is on Sunday. 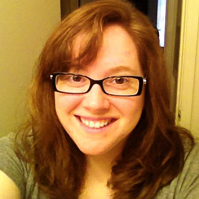 Hey girl, just saw your blog and it's great! Cute dress, too! Stop by One Fine Wire if you get a chance, I'd love to see you there! LOVE it!! So cute!! And I think the addition of the belt is great! How cute is that!? The gray looks great with your hair color in contrast =) The belt really makes it pop. I think I'll have some dresses up on Thursday if I get my act together in time! You're so cute! And I know exactly what you mean, I can't understand how the summer is going by so fast, it's just evaporating from under us! You look fabulous!! That belt is the perfect addition to the dress!! The gray is perfect on you! I adore that color. And yay for August! I've been waiting very impatiently for August since a little pregnancy test last November. It's almost here!!! Love the dress -- it's just right! Absolutely love that dress! It looks SO GOOD on you! Such a cute dress! Love how you added the belt. So cute! I seriously love this challenge... and you look adorable! So cute! I've been trying to wear dress more often. But with grad school just around the corner, I haven't been able to buy any new ones. And I didn't realize that August was starting this weekend... oops! And oh my your hair is getting long! When did that happen? ;) Cutting soon?